zine. 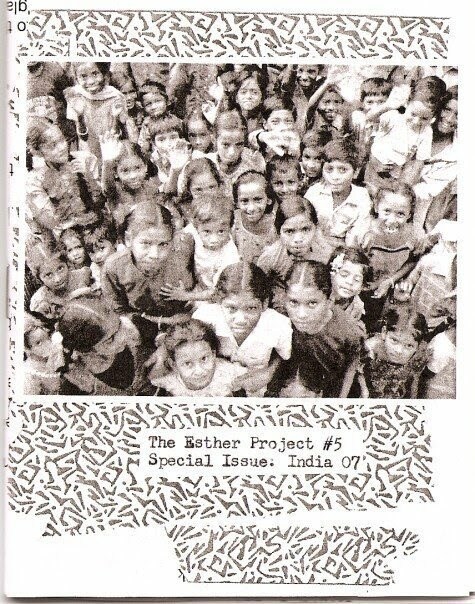 the esther project began as a zine. it is actually the resurrected form of a previous zine. that zine, however, died with me one day, and we both got new names. then i got a button press. i like one-inch buttons. i am tactile, and there is something nostalgic about one-inch buttons. 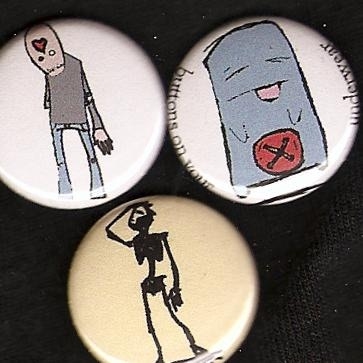 they remind me to make new friends, listen to the opening bands, and give my life away. they remind me that life's pleasures don't have to be very big. then i bought a couple boxes of wholesale, black hoodies. my husband and i intended to silkscreen on them, but time is elusive. until the chicago bears find themselves in the superbowl, that is, then time, in my family, stops. anticipating a long evening of bonding on my parents' sofa, i decided i needed a project. 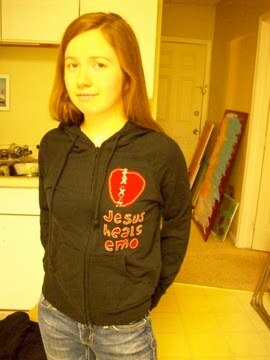 the emo hoodie was born, compliments ensued, and production began. and now i'm just having fun. oh, and you'll probably notice that ordering begins with email. i realize that's horribly unprofessional. we can use paypal, but paypal makes the site ugly and i'm not down for that. anyway, i'm more of an open-air market vendor than a web-savvy seller.